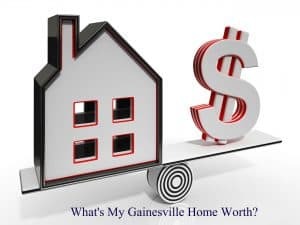 What is My Gainesville Home Worth? Thinking of selling your Gainesville Home? By completing the form below, we can provide you with a personalized comprehensive market analysis report on your home. This report is NOT computer generated, and is prepared by our direct research into the Gainesville MLS data. We welcome the opportunity to provide you this FREE Market analysis on your home. Please provide as much information on the form below. Our goal is to help you plan for a successful SALE on your home. UNSOLD HOMES IN MY AREA? Please list any improvements you have made on this property since you've owned it. Any additional information that you can share will be helpful.